The end of yet another year is inevitably coming, as well as the start of the new year of 2018. For us here at Special Hobby, this pre-festive period has really been quite frantic. Even though we did not manage to distribute everything as had been planned, we can assume this year as really very successful one. The 2017 new kits have proved to be enormously attractive both for the traders and the modellers and it makes us really happy that the demand is still rising. We are pretty optimistic and believe that this trend will remain unchanged also in the new year. 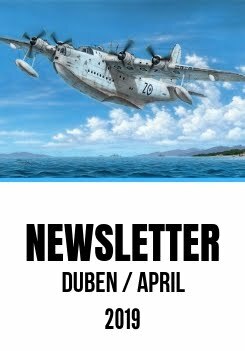 During the new year that is quickly approaching, you can expect plenty of really eye-catching new model kits which, besides the January news described further below, are for example the following: 1/72 SAAB Viggen, Super Mystere B.2, Vampire Mk.I, Dornier Do-27, Meteor NF Mk.11/12/13/14, two-stage Mosquito versions, in 1/48 scale also the Super Mystere B.2 or the Dornier Do-24 and in our biggest scale 1/32 the Tempest Mk.VI or the I.A.R.-81 BoPi. Many interesting resin sets are to be issued by our colleagues at CMK too. The 1/48 range is going to bring you an engine set and armament set for Special Hobby P-40 kit, 1/32 ground crewmember figures to accompany our Tempest model and in 1/72 an engine installation set for the new 1/48 Airfix B-17 bomber. Speaking of the B-17, any producers‘ model will benefit from the addition of CMK set of WW2 US pilot and gunner figures. And obviously not only the B-17 kits. In our Planet Model range, you can expect 1/48 resin kits of the Focke Wulf Fw 190V-11 fighter, Miles Libellula test plane. We also would like to invite you to visit our stand at the 2018 Nuremberg Toy Fair / Spielwarenmesse in Germany. You will find us at our usual place, in Hall 7, stand no. E-52. We are really looking forward to be able to meeting with you all there, to show you our forthcoming projects and also give you detailed replies to all your possible questions. The CASA C-212 model comes on as many as five grey styrene sprues and one clear plastic sprue. 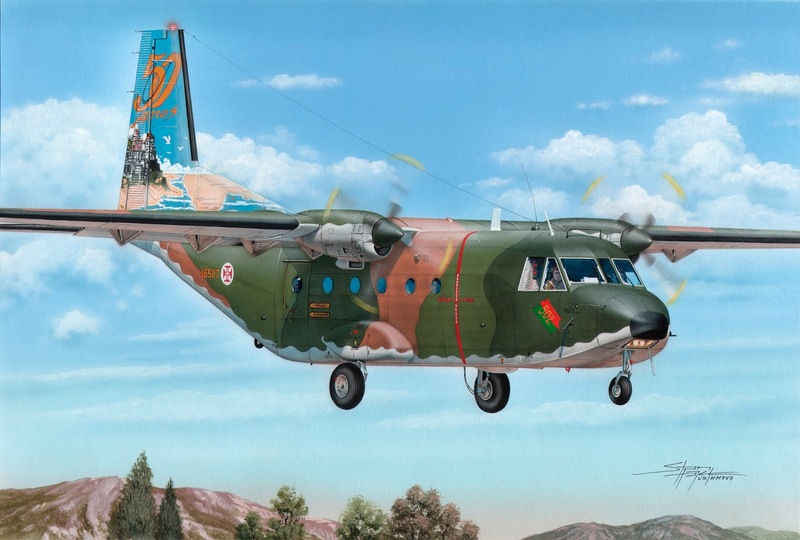 Limited edition reboxing #SH72376 CASA C-212-100 ‘Tail Art’ offers two highly attractive Portuguese military machines both of which are adorned with extremely elaborated paintings on their tails. The Blohm Voss BV 155B was supposed to become just that weapon to stop the new American B-29 high altitude bombers. However, these magnificent machines were sent to the Pacific area and the development of the BV 155B was not brought to a successful finish. The development had really been rather complicated, originally taking place at Messerschmitt facility as the Me 155, originally designed as a naval fighter for theplanned but never finished Graf Zeppelin carrier. As the requirements of the RLM changed with time, the type was also redesigned to perform as a high altitude machine, the Me155B. The Messerschmitt development team was overburden with several other projects, so the RLM decided to transfer the project work to Blohm Voss, where, however, the Blohm Voss‘ chief designer Richard Voght considered the project to be quite bad and eventually redesigned it completely. The type’s designation changed as well to the BV155, and the new plane was much larger with a long span wing. A four-bladed propeller was driven by a turbo-charged DB 603U engine, with engine radiators hung under the wing. The first BV155V-1 made its maiden flight on 1 September 1944, quipped with a pressurised cockpit and a Rb 50/30 camera behind the pilot’s seat. The planned armament was to consist of a 30mm MK108 cannon in the propeller shaft and two 20mm MG151/20 cannon in the wings. Several problems occured during the first flights, although the team was able to tacke some of them eventually. Another two prototypes, the V- 2 and V-3 had also been partially built. Richard Voght considered also the BV155C, a version which was to have its radiator in the forward fuselage. The advancing British troops brought an end to all these plans when they seized the Blohm Voss factory and also Hamburg – Finkerwerder airfield. The RAF supposedly test-flown the BV155, at least an inventory number was assigned to the type. At first, the Bv155 was sent to the UK, consequently over the pond to the USA. Nowadays, the already incomplete machine is stored at theNational Air and Space Museum depository. Detail muzzle brake cast for a model of the Czechoslovak anti-tank gun that was used by the German Wehrmacht and other armies as well during WW2. The brake has apertures around its circumference, was designed in 3D and the master pattern was produced using a 3D printer to achieve the best quality. Easily and directly replaces the kit part which comes without the apertures. The set offers mainwheels with nicely detailed hub area. The tyres come with very fine tread. 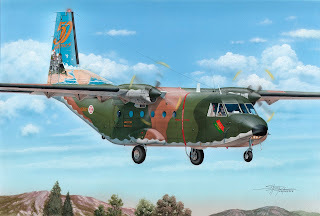 Designed for Special Hobby and Azur/Frrom kits of Rumanian I.A.R.-80/81 fighter and dive bomber aircraft. 3D designed and master marts produced on a 3D printer. The set brings all new exhausts made for Special Hobby kit. 3D designed and prototype parts 3D printed. The set contains all new wheels with cross tread tyres, the wheel hubs come as separate casts and the set offers two styles of the wheels, either with the hub covers on or without the covers. 3D designed, 3D-printed master parts. The set contains all new wheels with diamond and hole style tread, the wheel hubs come as separate casts and the set offers two styles of the wheels, either with the hub covers on or without the covers. 3D designed, 3D-printed master parts. For the new Special Hobby P-40N kits (later blocks), but not just for these kits, has been designed this set which brings the modeller a new cast pilot’s seat with belts. 3D designed, the seat master pattern was produced using a 3D printer. The new Special Hobby P-40 Warhawk kits will benefit from the addition of this set which offers the modeller new and nicely detailed cockpit sidewalls and a new control stick. The cast part replace directly and easily the original styrene items. Not much surgery needed. The master parts were 3D designed and printed. The new Special Hobby models of the Kittyhawk IV (basically a P-40N with some British equipment), but not just these kits, will no doubt benefit from the new pilot’s seat cast with the quite distinctive British Sutton harness. As many of our recent sets, also this one has been 3D designed and the master parts produced on a 3D printer.